From 1 April 2019, bus service BET6 from JB Sentral to Taman Setia Indah operated by Causeway Link will no longer be offered. The last day of service is on Sunday, 31 March 2019. With the withrawal of BET6, commuters will no longer be able to take the public transport between JB Sentral, Taman Mount Austin and Taman Austin Heights. Please seek alternative transport. Commuters going to Jalan Mutiara Emas 7 may choose to take bus service 10B, alight at Econsave Taman Daya and walk at least 1 kilometre (or at least 15 minutes walk) to their destination at Jalan Mutiara Emas 7. Take Causeway Link bus 10B directly from JB Sentral. See route details of Causeway Link 10B. 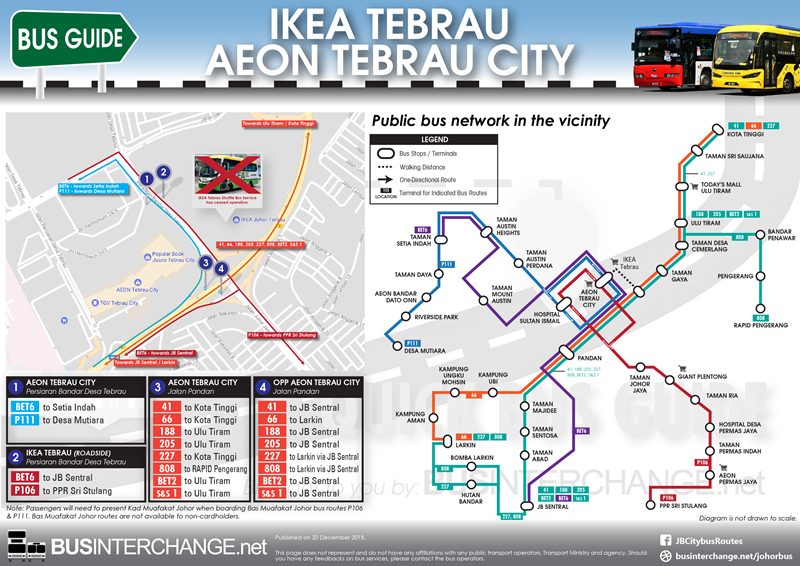 Take Bas Muafakat Johor P111 directly from AEON Tebrau City. 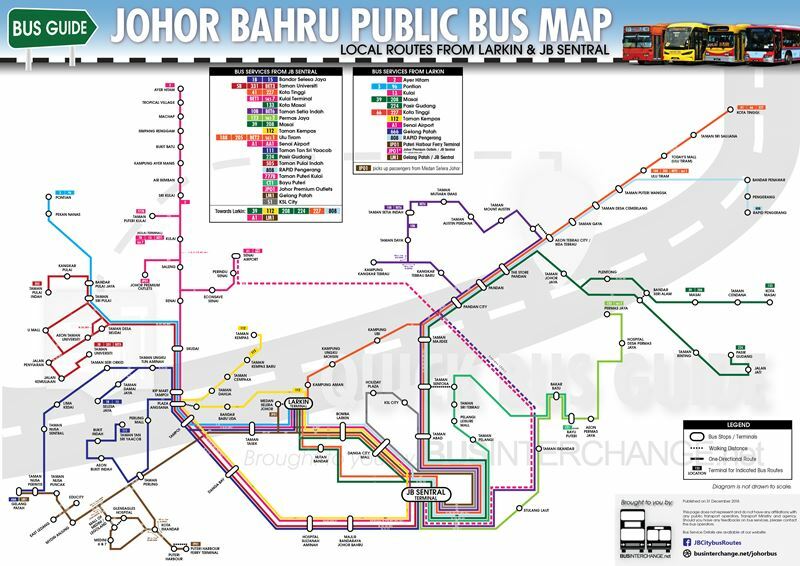 See route details of Bas Muafakat Johor P111.